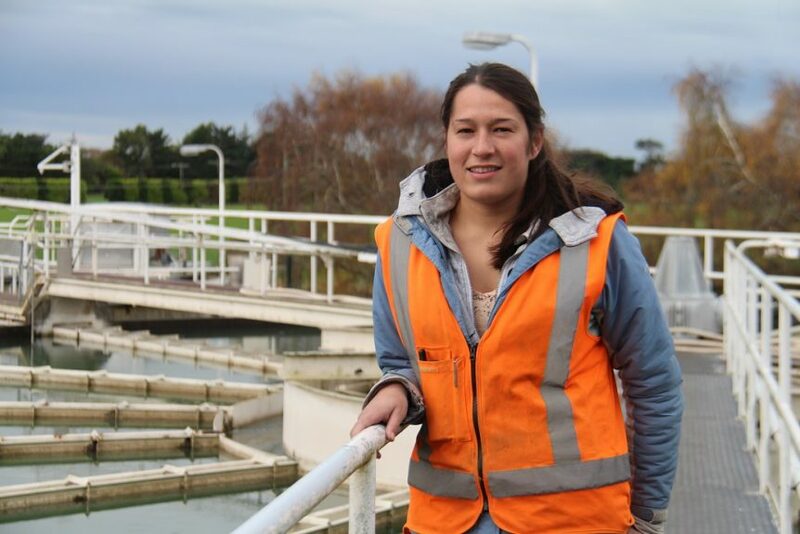 Working as a Water Treatment Operator was never Naomi Coatsworth’s dream job as a child. Yet after almost two years into the role and having recently won the Young Operator of the Year award, her sights are firmly set on her continued career in water treatment. Having grown up in Southland, Naomi had worked in several jobs before undertaking a role as a lab technician at a local MDF plant. It was in this role that she worked with water treatment inspectors and was exposed to their work. Naomi enjoys the variety on offer as a Water Treatment Operator and says it’s an interesting role, with every day being different. Having been in the role for almost two years, Naomi says taking tour groups through the Plant is one of the most rewarding day-to-day parts of her job. “I enjoy educating people about the Plant. We take school and community groups through, though it’s open to anyone who is interested. Gaining my Level 4 National Certificate in Water Treatment was also a highlight; I’m now looking at starting the Diploma. One of Naomi’s biggest achievements to date is being awarded the Young Operator of the Year Award. “The award comes with a two week trip to Australia to attend the Water Industries Operations Australia conference later this year. I’ve been to the New Zealand conference and can’t wait for the Australian one. I will also spend the last week there working in a water treatment plant in the State of Victoria. “I’m now looking at starting the National Diploma in Drinking Water Treatment, which will qualify me to manage a plant. It would be good to put my skills to the test as a manager,” Naomi said. Naomi suggests that if people are interested in becoming a water operator, they gain relevant experience in the sciences, water industry or civil infrastructure. In her spare time Naomi enjoys water sports such as paddle boarding, kayaking and skiing.